Professor Joanne Roberts is Professor in Arts and Cultural Management and Director of the Winchester Luxury Research Group at Winchester School of Art at the University of Southampton, UK. Joanne gained her PhD at the Centre for Urban and Regional Development Studies, Newcastle University, UK, and she has held academic posts at the Universities of Durham, Newcastle, and Northumbria, UK. In previous posts Joanne has managed subject groups of more than 30 academics. From July 2016 until July 2018 she was Director of Research at Winchester School of Art. Joanne’s areas of expertise include creativity and innovation, knowledge management, luxury and international business. She is an active member of several national and international scholarly networks, including the British Academy of Management. Presently Joanne is co-editing The Third Realm of Luxury: Connecting Real Places and Imaginary Spaces with John Armitage (Bloomsbury, forthcoming) and The Oxford Handbook of Luxury Business with Pierre-Yves Donzé and Véronique Pouillard (Oxford University Press, forthcoming). Her current research focuses on the role of knowledge and ignorance in the field of luxury, including how they shape the production, promotion and consumption of luxury goods and services. Joanne is also exploring the connections between luxury, prosperity and inequality. Joanne’s research interests are currently focused on knowledge, innovation and creativity, particularly in relation to the field of luxury. She is exploring how knowledge of luxury is acquired and what it means to know what luxury is or might be. In addition, Joanne is examining the role of innovation and creativity in the area of luxury and the connections between luxury, prosperity and inequality. Joanne welcomes enquiries from potential PhD students with interests in management issues related to the arts and cultural industries. She is particularly interested in proposals concerning the creative industries, the luxury sector, and the internationalisation of activities in these industries. Joanne is currently supervising a number of PhD students on topics including luxury and the airport, luxury and the post-global condition, the experiential retail environment, and the management of diversity in the design sector. The Third Realm of Luxury: Connecting Real Places and Imaginary Spaces (Bloomsbury) co-edited with John Armitage. Technicities: Book series edited with John Armitage and Ryan Bishop for Edinburgh University Press. Victoria and Albert Museum: Since 2011, Winchester School of Art has worked in partnership with the Victoria and Albert Museum, London, the world’s largest museum of decorative arts and design. Together with Leanne Wierzba, John Armitage and Jonathan Faiers, Joanne worked on the curation of the V&A’s. ‘What is Luxury?’ exhibition (25 April – 27 September 2015). Joanne is a member of the Winchester Centre for Global Futures in Art Design & Media, the Transforming Creativity Research Group, and the Knowledge and Learning Special Interest Group of British Academy of Management. Joanne is Director of the Winchester Luxury Research Group. She is an editor of the academic journal Prometheus: Critical Studies in Innovation. 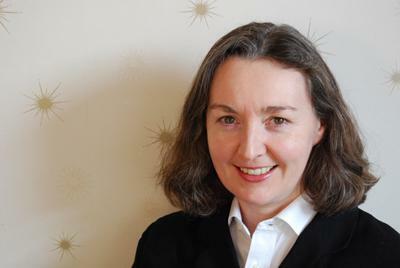 Additionally, Joanne is an editorial advisory board member of the journal Critical Perspectives on International Business, which she co-founded with George Cairns in 2005 and co-edited for twelve years. Joanne serves on the editorial advisory boards of a number of other journals, including Luxury: History, Culture and Consumption and Management International. Joanne acts as a reviewer for a wide range of international journals and academic publishers. Furthermore, Joanne edits the book series Technicities for Edinburgh University Press, together with John Armitage and Ryan Bishop. Roberts, J. (2017). Luxury Industries and Creative Cities: Lessons from London. Cultural Industry Research, 16, 27-38. Roberts, J., & Armitage, J. (2015). Luxury and creativity: exploration, exploitation, or preservation? Technology Innovation Management Review, 5(7), 41-49. Roberts, J. (2003). Competition in the business services sector: implications for the competitiveness of the European economy. Competition & Change, 7(2/3), 127-146. Howells, J., & Roberts, J. (2000). From innovation systems to knowledge systems. Prometheus, 18(1), 17-31. Roberts, J., & Armitage, J. (Eds.) (Accepted/In press). The third realm of luxury: connecting real places and imaginary spaces. (1st ed.) London: Bloomsbury Academic. Armitage, J., & Roberts, J. (Eds.) (2016). Critical luxury studies: art, media, design. Edinburgh, GB: Edinburgh University Press. Roberts, J. (2015). A very short, fairly interesting and reasonably cheap book about knowledge management. (Very Short, Fairly Interesting & Cheap Books). Washington, US: SAGE. Amin, A., & Roberts, J. (Eds.) (2008). Community, economic creativity and organization. Oxford University Press. Armitage, J., & Roberts, J. (Eds.) (2002). Living with cyberspace: technology & society in the 21st century. London, GB: Continuum. Andersen, B., Howells, J., Hull, R., Miles, I., & Roberts, J. (Eds.) (2000). Knowledge and innovation in the new service economy. Cheltenham, GB: Edward Elgar. Roberts, J. (1998). Multinational business service firms: development of multinational organization structures in the UK business service sector. Farnham, GB: Ashgate. Roberts, J. (Accepted/In press). Secret spaces of luxury: ignorance, free ports, and art. In J. Roberts, & J. Armitage (Eds. ), The Third Realm of Luxury: Connecting Real Places and Imaginary Spaces (1 ed.). London: Bloomsbury Academic. Roberts, J., & Armitage, J. (Accepted/In press). The third realm of luxury: conceptualizing the connections between real places and imaginary spaces. In J. Roberts, & J. Armitage (Eds. ), The Third Realm of Luxury: Connecting Real Places and Imaginary Spaces (1 ed.). London: Bloomsbury Academic. Roberts, J. (2017). Community, creativity and innovation. In H. Bathelt, P. Cohendet, S. Henn, & L. Simon (Eds. ), The Elgar Companion to Innovation and Knowledge Creation (1st ed., pp. 342). Cheltenham, UK: Edward Elgar. Roberts, J., & Armitage, J. (2017). Luxury: from idea to the reality of prestigious places. In M. Paris (Ed. ), Making Prestigious Places: How Luxury Influences the Transformation of Cities Abingdon, GB: Routledge. Armitage, J., & Roberts, J. (2016). Critical luxury studies: defining a field? In J. Armitage, & J. Roberts (Eds. ), Critical Luxury Studies: Art, Design, Media (pp. 1-21). Edinburgh, GB: Edinburgh University Press. Roberts, J., & Armitage, J. (2016). Knowing luxury: from socio-cultural value to market price. In J. Armitage, & J. Roberts (Eds. ), Critical Luxury Studies: Art, Design, Media (pp. 25-46). Edinburgh, GB: Edinburgh University Press. Armitage, J., Roberts, J., & Dhillon, Y. S. (Accepted/In press). Luxury products and services and the sustainable value chain: six management lessons from Gucci. In M. Gardetti (Ed. ), Sustainable Management of Luxury (pp. 259-279). Singapore: Springer. Dörrenbächer, C., & Roberts, J. (2016). Seminal contributions of the critical management school. In F. A. A. Becker-Ritterspach, S. Blazejewski, C. Dörrenbächer, & M. Geppert (Eds. ), Micropolitics in the Multinational Corporation: Foundations, Applications and New Directions (pp. 166-184). Cambridge, GB: Cambridge University Press. Roberts, J. (2015). Organizational ignorance. In M. Gross, & L. McGoey (Eds. ), Routledge International Handbook of Ignorance Studies (pp. 361-369). New York, US: Routledge. Roberts, J. (2014). Community and the dynamics of spatially distributed knowledge production: the case of Wikipedia. In R. Rutten, P. Benneworth, D. Irawati, & F. Boekema (Eds. ), The Social Dynamics of Innovation Networks: From Learning Region to Learning in Socio-Spatial Context (pp. 179-200). (Regions and Cities). London, UK: Routledge. Roberts, J. (2012). Communities as spaces of innovation? In F. Adam, & H. Westlund (Eds. ), Innovation in Socio-Cultural Contexts (pp. 80-100). Abingdon, GB: Routledge. Avakian, S., Clark, T., & Roberts, J. (2010). Examining the relationship between trust and culture in the consultant-client relationship. In M. N. K. Saunders, D. Skinner, G. Dietz, N. Gillespie, & R. J. Lewicki (Eds. ), Organisational Trust: A Cultural Perspective (pp. 129-155). (Cambridge Companions to Management). Cambridge, GB: Cambridge University Press. Roberts, J. (2006). Internationalisation of management consultancy services: conceptual issues concerning the cross-border delivery of knowledge intensive services. In J. W. Harrington, & P. W. Daniels (Eds. ), Knowledge-Based Services: Internationalisation and Regional Development (pp. 101-124). Farnham, GB: Ashgate. Roberts, J. (2003). Business services. In P. Johnson (Ed. ), Industries in Europe (pp. 320-346). Cheltenham, GB: Edward Elgar. Armitage, J., & Roberts, J. (2002). Chronotopia. In J. Armitage, & J. Roberts (Eds. ), Living with Cyberspace: Technology & Society in the 21st Century (pp. 43-54). London, GB: Continuum. Armitage, J., & Roberts, J. (2002). Living with cyberspace: an introduction to technology and society in the 21st century. In J. Armitage, & J. Roberts (Eds. ), Living with Cyberspace: Technology & Society in the 21st Century (pp. 1-13). London, GB: Continuum. Howells, J., & Roberts, J. (2000). Global knowledge systems in a service economy. In B. Andersen, J. Howells, R. Hull, I. Miles, & J. Roberts (Eds. ), Knowledge and Innovation in the New Service Economy (pp. 248-266). Northampton, US: Edward Elgar. Roberts, J., Miles, I., Hull, R., Howells, J., & Andersen, B. (2000). Introducing the new service economy. In B. Andersen, J. Howells, R. Hull, I. Miles, & J. Roberts (Eds. ), Knowledge and Innovation in the New Service Economy (pp. 1-9). Northampton, US: Edward Elgar. Roberts, J., Andersen, B., & Hull, R. (2000). Knowledge and innovation in the new service economy. In B. Andersen, J. Howells, R. Hull, I. Miles, & J. Roberts (Eds. ), Knowledge and Innovation in the New Service Economy (pp. 10-35). Northampton, US: Edward Elgar. Roberts, J. (2000). The internationalisation of knowledge intensive business service firms. In B. Andersen, J. Howells, R. Hull, I. Miles, & J. Roberts (Eds. ), Knowledge and Innovation in the New Service Economy (pp. 178-195). Cheltenham, GB: Edward Elgar. Joanne contributes to a number of MA degree programmes, including the MA in Luxury Brand Management and the MA Contemporary Curation. She also contributes to the PhD seminar series and supervises a number of PhD students.